Each week we run deals on plants for £1.99. They might be big, they might be small but one thing for sure, they’re always a great deal. 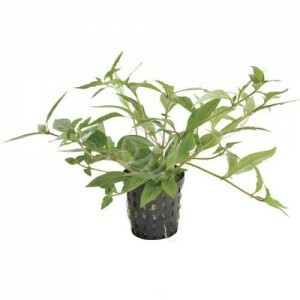 Today we’ve got a deal on the lovely foreground plant called Pogostemon helferi. We’ve bought over 200 of them and by Monday they’ll probably be sold. This lovely plant needs brighter light to flourish and grows up to 10cm so great therefore ideal for nano tanks or smaller aquariums. You can, of course, grow it in larger tanks – you just need more of them 😉 Although it appreciates the addition of pressurised CO2 in the aquarium, it’s not a must – without it, growth is just a bit slower. If you’d like to be the first in the line for these types of deals, maybe subscribe to my newsletters here http://eepurl.com/Aw_Nb. You can find a link to the foreground plant Pogostemon heferi by clicking the above picture OR clicking this link here. So if you wanted to take advantage of this super offer, click the links and be quick. Normally on sale for only 4-5 days. If you’re outside the UK and mainland Europe, we can’t get the plants to you fast enough. The full scientific name is Pogostemon helferi (Hook. f.) Press and from this it follows that it is closely related to another popular aquarium plant, Pogostemon stellatus. The meaning of the genus name is “bearded stamens” from “pogo” (bearded) and “stemon” (stamen) but as yet there is no English common name for Pogostemon helferi. Two Thai aquarist, Nonn Panitvong and Arthit Prasartkul, recovered the plant on the boarder between Thailand and Myanmar and in Thailand the plant is called “dao noi” which means little star. Here, the plant is found in between the other amphibious vegetation along creeks and small rivers where it is found submerged during the wet season and emerged during the dry. The soil in this part of Thailand is often iron rich clay with a reasonable amount of calcium carbonate and this makes it ideal as an aquarium plant. 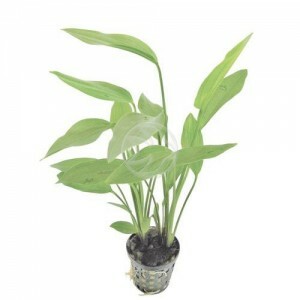 Pogostemon helferi is not easily confused with other aquarium plants because of the curly leaves. 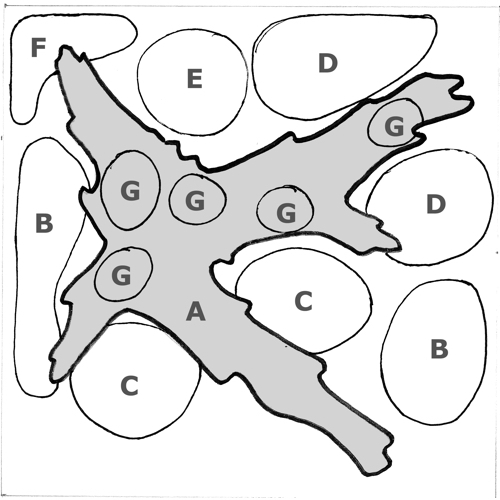 Under good light conditions, short internodes are formed which result in a compact and bushy look. The inflorescence is simple, 15-30 mm long and the individual flowers are lavender. Usually, it forms flowers only when emerged. At Tropica, we cultivate Pogostemon helferi in emergent cultures which bring along advantages not only for Tropica but also for the aquarist. The emergent plants are always free from algae but in addition, they also acclimate much easier to the water in the individual tanks found among different aquarists. The reason is likely that in nature, these plants experience large natural fluctuations in water quality upon the start of the wet season when ions in different amounts are washed out from the catchment area. This phenomenon probably makes the plant more adaptive to submergence in different types of waters also in our tanks. 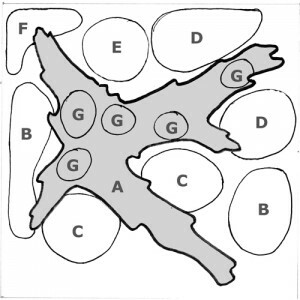 When planting Pogostemon helferi into the aquarium, the cluster of plantlets should be divided into 4-5 blocks which are then planted into the substrate with a distance of 3-5 cm. In this way, a homogenous carpet is rapidly formed. Remember to remove loose leaves or leaves which are already senescent together with big lumps of roots. This tissue will soon die anyway and start to decay, and this will slow down the establishment of the new plants. Pogostemon helferi looks best if it is planted in small groups or even in larger groups in the foreground. Pogostemon helferi is not particularly light demanding, but the more light we provide, the more compact the growth form, and the compact form is what most people find attractive. Under less light, the plant grows taller (up to 15 cm) whereas intense light results in compact shoots not longer than 5-8 cm. Pogostemon helferi is relatively fast growing and thus, it needs additional nutrients. Iron deficiency sometimes occurs and is recognized by the new leaves being yellowish but this is easily treated by using liquid Premium Fertiliser in the recommended doses. At luxurious growth, it becomes necessary to trim the plants and this should be done by removing entire shoots allowing light and nutrient to penetrate all the way down to the remaining shoots. 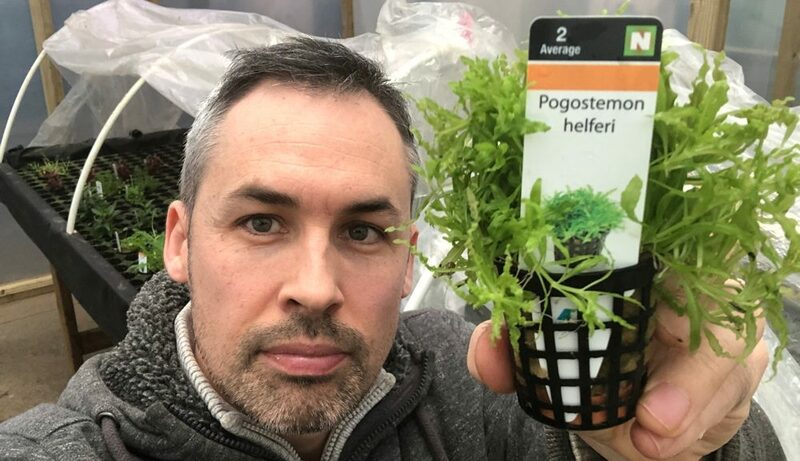 CO2 enrichment always stimulates growth, but it is not really required to grow Pogostemon helferi successfully; the plant simply grows a bit slower. Pogostemon helferi thrives in a broad temperature interval from 23 to 30°C. Pogostemon helferi is among the easiest foreground plant we have because it is not as light demanding as most other foreground plants; at low light, the individual stems simply grow a bit longer and the plant appears less compact. Try Pogostemon helferi together with other foreground plants such as Glossostigma or Hemianthus to create new and exciting color contrast in the aquarium. Pogostemon helferi is relatively new in our hobby and thus, there is not much information available as yet. However, we recommend consulting the articles listed below if you want to learn more about this exiting plant. Common Planted Aquarium Misconception is that plants are difficult to grow! We get to speak to a LOT of customers throughout the day and most of the calls are regarding problems with plant growth however it is a Common Planted Aquarium Misconception. These are just a few of the issues customers call up about however they are not difficult to grow at all, you just have to grow them in the right way and it is simply a Common Planted Aquarium Misconception . 1. 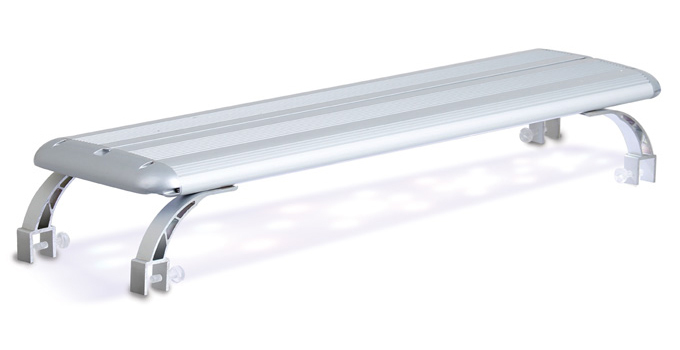 Is your lighting on too long? The problem here is that people overestimate how much light aquarium plants actually need throughout the day and end up flooding their plants with light. Plants make their food through photosynthesis and nutrients will give them. 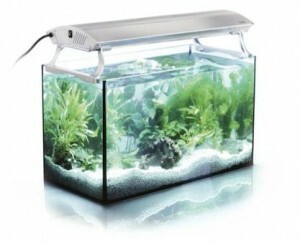 Maximum lighting duration is 8 hours per day and if you have algae problems drop that to 6 hours (and don’t forget minumum water changes per week is 30%). Another Common Planted Aquarium Misconception is that Red plants hard very difficult. 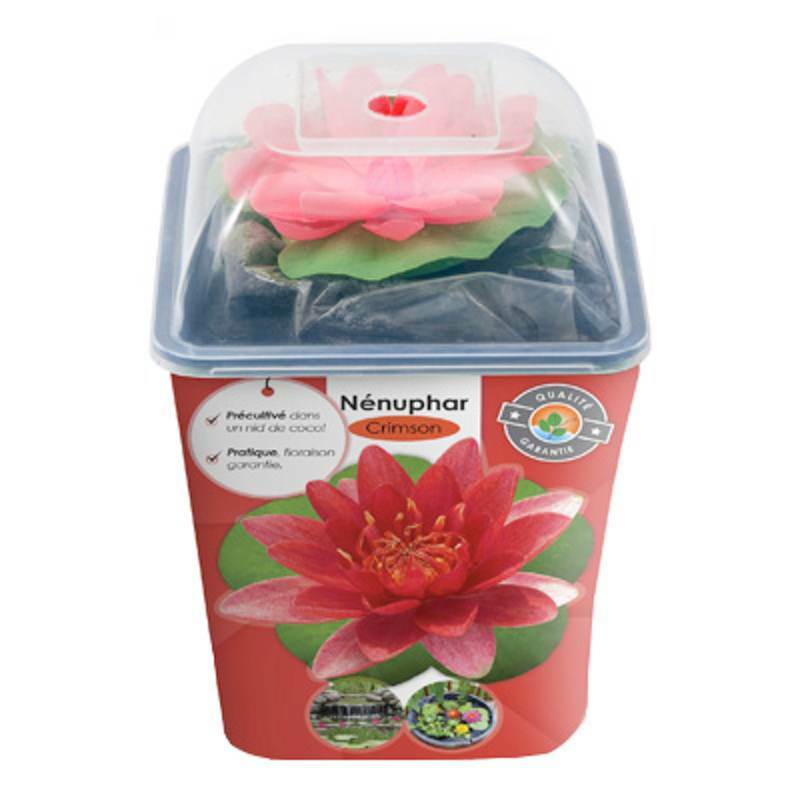 Red plants will need most amount of light so make sure you place any red plants directly under the light and not overshadowed by larger plants especially those with large leaves such as Echinodorus. Lighter green plants are fine with a little bit less than red plants and dark green plants such as Microsorums, Anubias and come Crypts such as the Wendtii varieties cope with the least. Another thing to consider with your lighting is some lights are only designed to last between 6-12 months so they will need replacing in time so if you are thinking your plants are starting to take a downward turn and you have had your bulbs for a while, it may be time to replace them. 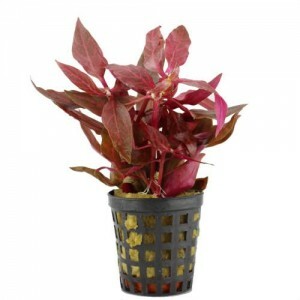 Red plants such as this Alternanthera cardinalis variegata will require a decent amount of light. 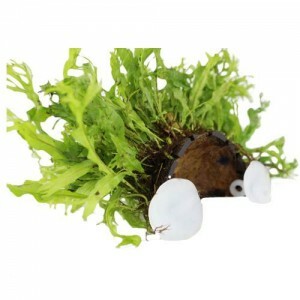 This Java Fern will require the least amount of light as they have drak green leaves. 2. Are you fertilising enough? Another reason for this Common Planted Aquarium Misconception is that some people are just not fertilising their plants enough. Whether you are fertilising liquid form or using root tabs this needs to be done regularly. This is why with recommend Neutro T & Neutro CO2 as you dose daily which gives you a chance to look over and check your plants and aquatic life on a daily basis thus keeping on top of things. 3. Are your plants overcrowed? Also another Common Planted Aquarium Misconception that plants are hard to grow is caused by overcrowding. Plants will need to be trimmed and nipped back to allow sufficent light to get to all plants. We recommed this is done on a weekly basis to ensure that you keep your plants in the best shape and condition. So with the right substrate, lights and fertilisation it is just a Common Planted Aquarium Misconception that they are difficult to grow! Any questions regarding this we will be happy to assist, just call us on 01363 77 4787. You too could have an aquarium that looks as healthy as this one. 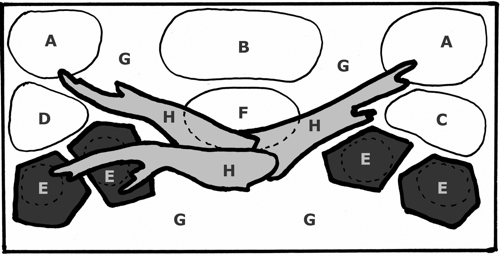 Freshwater Shrimp Seclusion – the Ultimate Shrimp Hide. What I love most about this Freshwater Shrimp Seclusion is that it not only does this hide give your aquarium a natural yet urban feel with the vibrant green, lush and thickly grown moss. 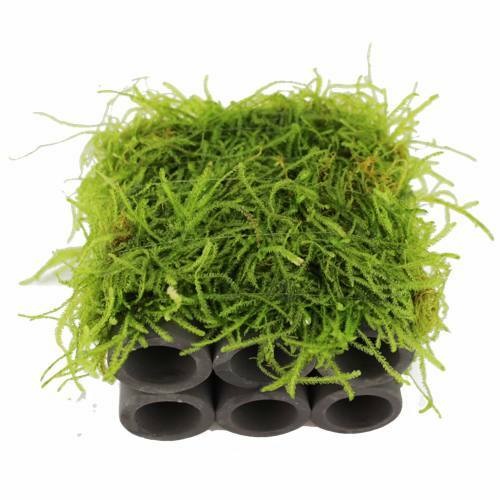 The somewhat industrial looking pipes is this great little hideaway is ideal for your shrimp to feel safe and at ease in your aquarium. 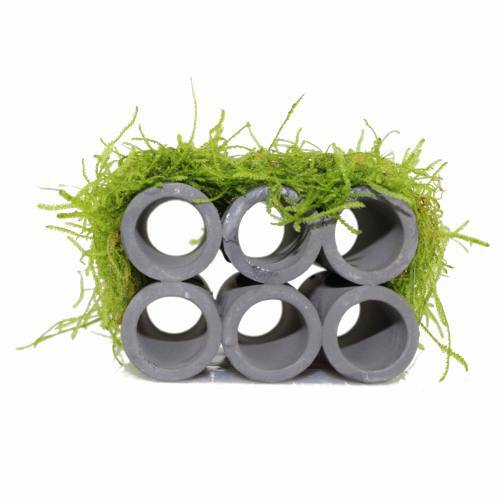 Hand crafted into these robust grey ceramic tubes making it a perfect refuge for not only just shrimp however other small crustacians, dwarf crayfish and youngsters too. Moulting is an important time for all shrimp where they need a quiet, safe haven. Moulting is part of their natural growth cycle however this time makes them very vulverable to other fish as once moulting has taken place their new skin is relatively soft so they hide from anywhere between 48 to 72 hours to give their new shell time to harden. The Freshwater Shrimp Seclusion is the perfect place for them to be as if your shrimp are unable to moult in safety they can become stuck in their old shell and perish. 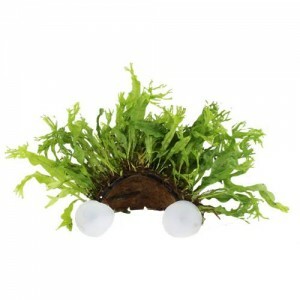 Sit back and watch as your shrimp make their way through the tunnels and hop onto the plush moss for a clean up and tidy. Where do I put it in my aquarium? The Shrimp Seclusion is all ready to go – simply place in the desired spot in your aquarium. I always think slightly nestled away amongst your aquatic plants to give a real indigenous look and feel and allow your shrimp to take their fortress. 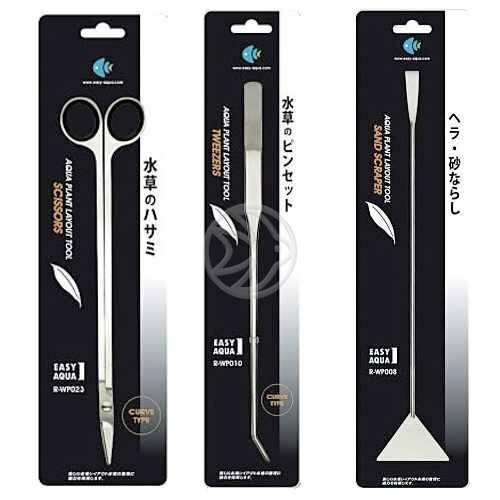 Measuring just 8 x 8 x 5cm so ideal for both nano and larger aquariums. Tempted? Click here to go straight to the product. This is by far the smallest Anubias I have ever seen and if you have a quick look at the pictures below you will see just how small the leaves are! Quite incredible really. The number of leaves that are packed into Anubias nana Mini is really amazing because it’s absolutely loaded. 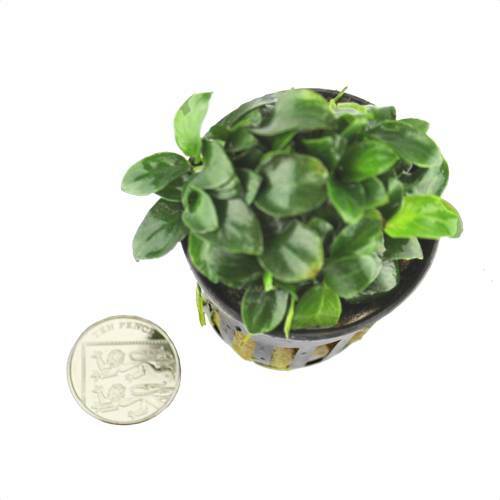 The pot is the usual 5.5cm in diameter so no surprises there and Anubias nana Mini doesn’t throw any punches there either because like the rest of its family it’s dead easy to grow. Because Anubias nana Mini is a slow growing aquarium plant it naturally prefers a low tech tank so anything where the lighting is relatively low and not on for too long every day. It’s 100% fine without pressurised CO2, but similarly if you do have it, it will bring the plant on quicker assuming you’re using lots of fertilisers. 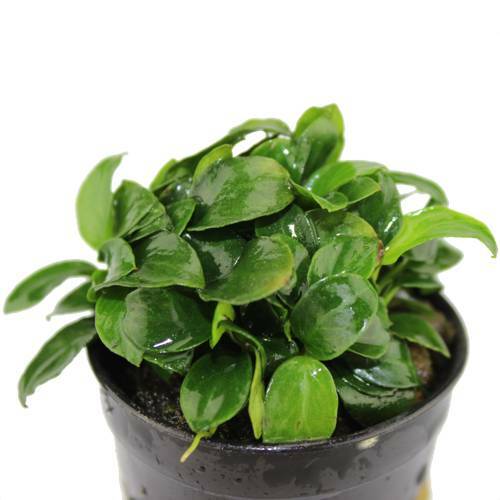 Anubias nana Mini should be tied onto wood or rock – just like the other Anubias the reason for this is simple – if you planted it in the substrate, the rhyzome would rot and the plant would die. 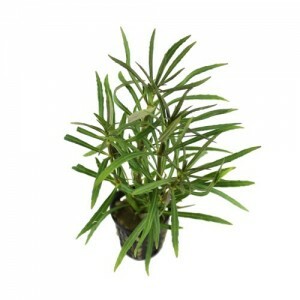 Suitable for beginners and up, this delightful aquarium plant is unchallenging, rewarding and easy to grow. 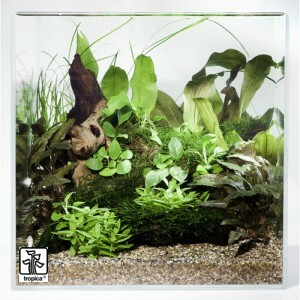 Looks best in aquariums which are smaller due to the leaf size so if you have a nano aquarium (say 30-40L is size) then it will look a pretty picture. You can find this particular plant by clicking here . 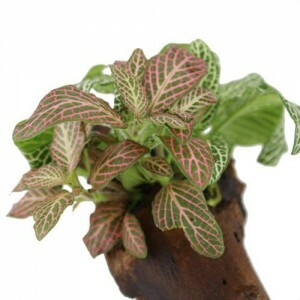 Fittonia Forest Flame is a relatively new strain of an already established vivarium plant that has recently been introduced to the hobby. 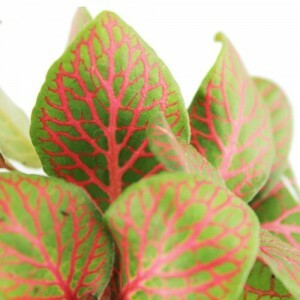 It has an incredible wow factor which comes from the vibrant colours it displays on its leaves. These range from flame red (hence the name) to a shocking pink. Your eyes will not miss this plant if it is in a vivarium. 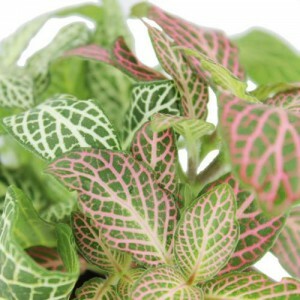 The fittonia forest flame is an ideal plant for instant impact as it will have very vivid colours when you buy it. This new cultivar was discovered in Haaren, in The Netherlands and is a naturally occurring “whole plant” mutation of Fittonia verschaffeltii ‘Josan’ which is very similar looking but with a more muted green and pink coloured foliage. Terminal cuttings were taken of the first fittonia forest flame plant and successful cultivation produced uniform and stable plants which were then introduced into the hobby. 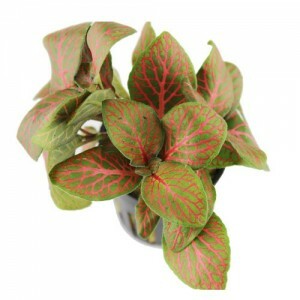 Fittonia forest flame is a relatively easy plant to keep. 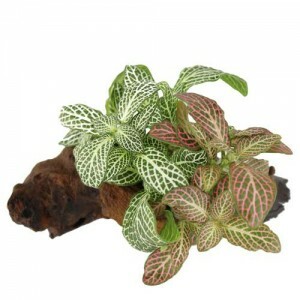 The plant does not like direct sunlight so a vivarium environment is perfect for them. Plant fittonia forest flame directly into well drained loose substrate that is nutrient rich. Fittonia forest flame grows extensively in a creeping manner and can spread up to 40cm in size with an eventual height of about 20cm. This plant will need regular watering but do not “drown” it! 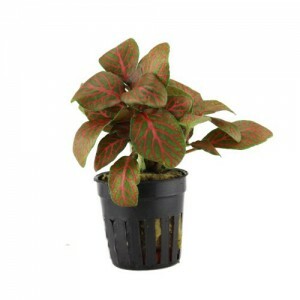 Fittonia forest flame is available as a small potted plant ready for use in a vivarium. 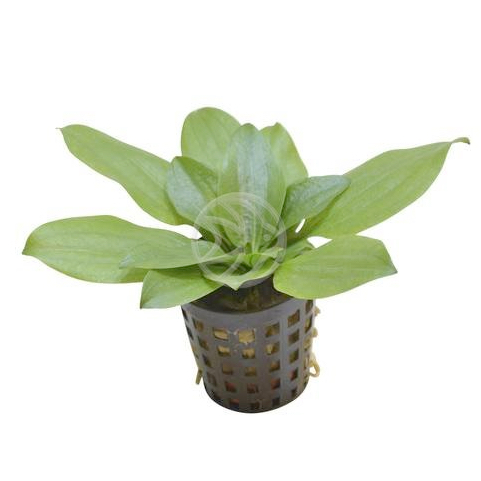 The plant comes set in rockwool, to get the best from this beautiful plant simply re-pot into a container of your choice with a suitable substrate and away you go. 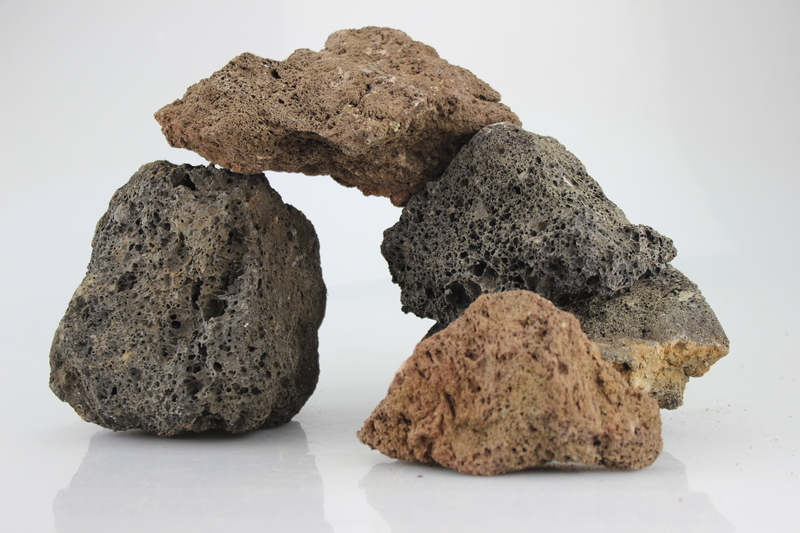 Should look spectacular in a planted vivarium and provide a good contrast against rocks and wood. This is a really easy aquarium plant to look after so first and foremost, if you’re new to the hobby then look no further! It’s unchallenging but still has the beauty of the very best types of aquatic plants, but before we go into that, let’s look into the history of hydrocotyle tripartita. Referred to in the hobby as Hydroctyle sp Japan, its true name is Hydrocotyle tripartita and it originates from South East Asia – as do most aquarium plants due to the warmer climate. 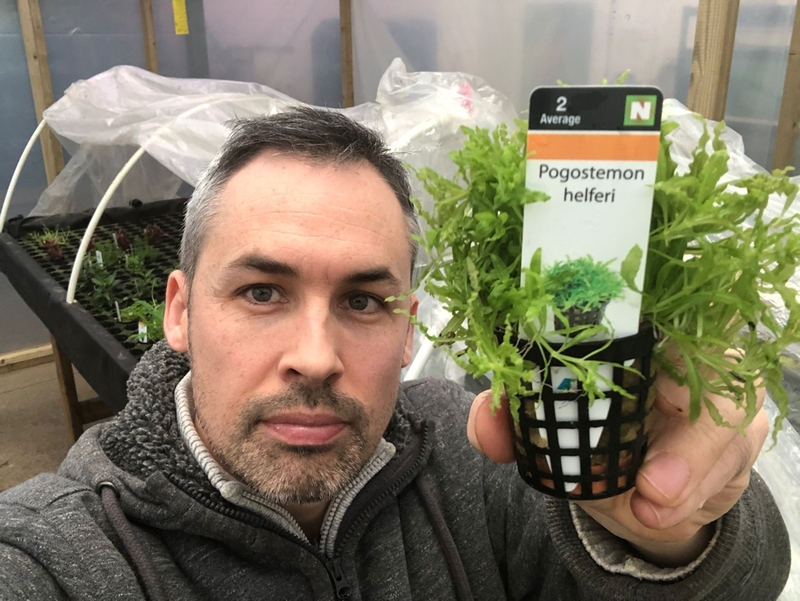 This plant grows fast and is a major reason why it’s so popular – we all want results fast and don’t want to wait and this plant certainly ticks that box. 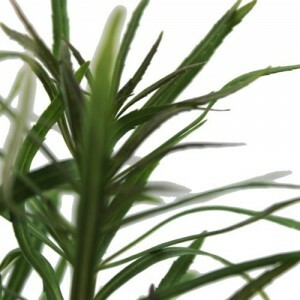 The leaves are small and a brilliant green colour, some might refer to the colour as intense. Best to plant hydrocotyle tripartita as a carpeting plant as it hugs the foreground and sends out runners on a daily basis. If the light is dim, you may find it stretches up the tank, but you really would have to minimise the light for this to have an impact. 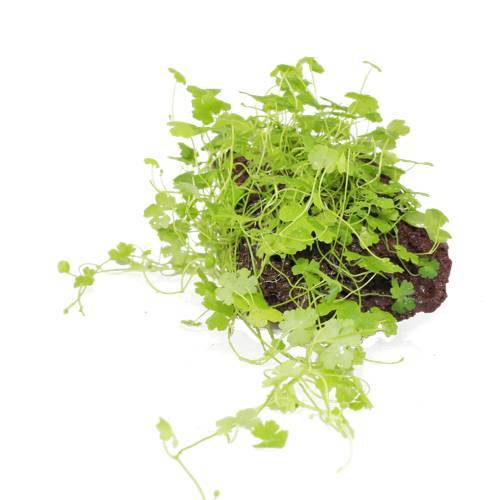 Once you’ve taken hydrocotyle tripartita from the pot, you’ll be able to split the plant into several portions and at the beginning it may look slightly scruffy and unkempt, you need to give it time to start to grow and take shape. If any of hydrocotyle tripartita pops back up, just push it back in. 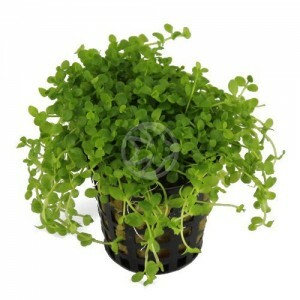 hydrocotyle tripartita is available in two types for you and is available as a potted variety or available as hydrocotyle tripartita on lava. Both are great, just depends what you prefer the look of. If you’re planning on planting hydrocotyle tripartita direct into the substrate choose the potted variety but if you want to move it around because you might not be able to decide quite where you want to place it, use hydrocotyle tripartita on lava. 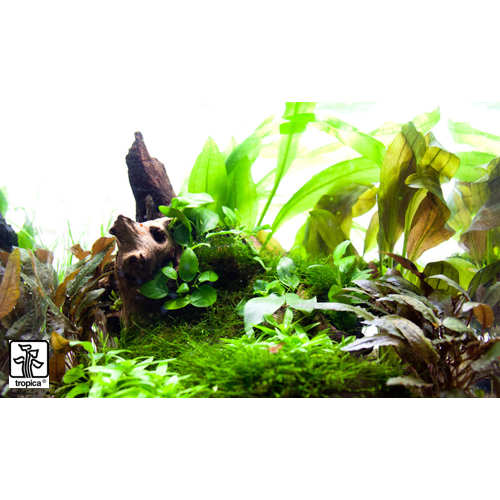 Having aquarium plants on wood is hugely beneficial and Anubias nana on driftwood is one of the more popular one’s a for a variety of reasons. First of all Anubias nana is one of the oldest plants that have existed in the hobby partly because it was found very early on but also because it’s easy to grow. But unlike many aquarium plants, Anubias nana must be planted onto wood or rock, and our favourite is Anubias nana on driftwood. 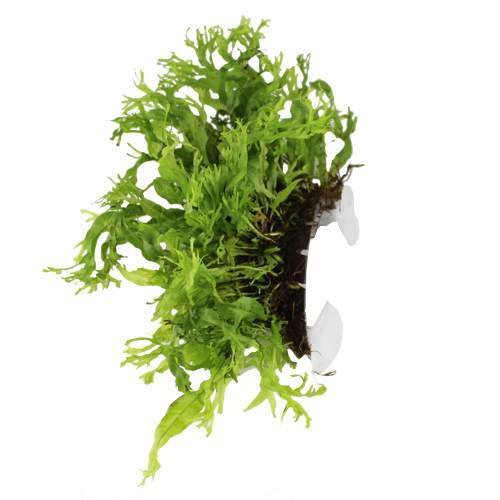 If you try and plant this aquatic plant directly into the substrate there’s a very high chance that the rhyzome will rot and as a result the plant will break down and the leaves fall off one by one. By attaching Anubias nana on driftwood, not only is the rhyzome above the substrate but it has a dual function. You can move it to where you want, when you want! This means if you get bored of it in one location it’s easy to shift to a new place. 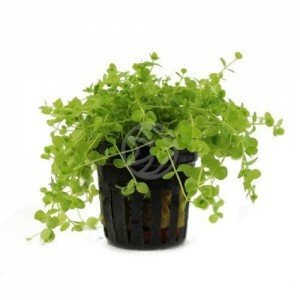 You need to give this plant very little care which makes it absolutely ideal for beginners and up. It’s happy in a very wide range of conditions from cooler water all the way up to warm water (30C making it ideal for discus tanks). In terms of lighting, we’ve experimented in low to high light and it’s done surprisingly well. although be careful with too much lighting as Anubias nana on driftwood is a slow growing plant and even with lots of CO2 it won’t throw out more than 1 leaf every few weeks. Does Anubias nana on driftwood flower? If you are lucky yes – the flowers are white and very beautiful but it won’t last long – maybe a day or two. If you are keeping the plant above the water line then it will stay in flower for a week. Where can I buy Anubias nana on driftwood? You can find it by clicking here – they are always in stock and ready to ship to your door on a next day basis. How can you not love this aquarium plant? I mean it’s truly beautiful in pretty much every way. Micranthemum monte carlo care is so easy – it looks great, carpets in your aquarium easily and pots are always a decent size. So where has it come from and where has it been all this time? In answer, it’s a relatively new aquatic plant into the hobby and it originates from Europe and East Asia – which one is quite correct, I’m not sure. I would go for Asia as their environment is better suited (but I’m guessing!). The leaves to this aquarium plant are fairly round, and probably no more than 4mm in diameter. So imagine it to be a bit like the world famous aquatic plant Hemianthus, just a big bigger. The MAIN DIFFERENCE though is how easy this plant is to grow. Classified as Easy, Micranthemum monte carlo care is straight forward and suitable for beginners and up and that’s because it’s hugely tolerant to a very wide range of conditions. And, it’s great as a carpeting aquatic plant which always rounds things off nicely. Why has it shot to fame? 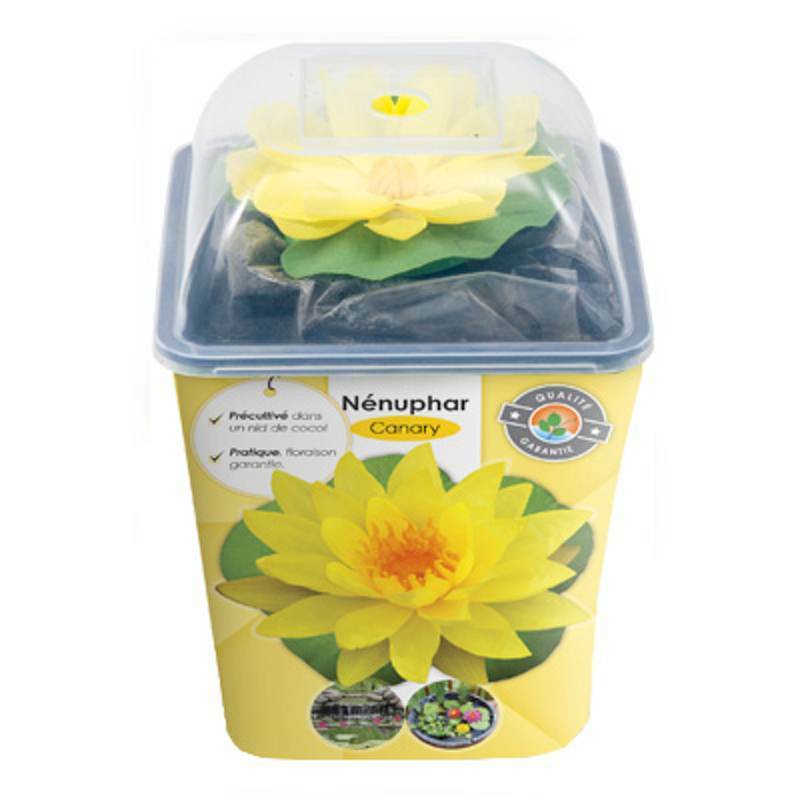 Because it’s so easy to grow and Micranthemum monte carlo care is so easy! You see Heminathus callitrichoides is the most similar plant to this and as mentioned above, it is far harder to grow, and that’s not what hobbyists want. 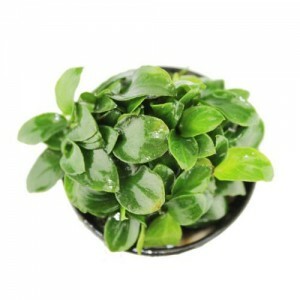 People want aquarium plants that look pretty and grow easily. Now no aquatic plant (to my knowledge) is genetically modified and as a result, we have to work with what we have. But Micranthemum monte carlo care, comes as close to a GM product as any, because it ticks all the right boxes. You can grow it in high light, low light, CO2 tank, non CO2 tank. Literally take your pick. Sure you’ll get much better results if you place it in a high tech CO2 tank (what plant wouldn’t), but my point is how adaptable it genuinely is. How do you plant it? Bit like Heminathus. Once you’ve removed this aquarium plant out of its pot, all you need to do is trim the rockwool off so you have about 10mm left. Then you can cut the plant into 6/8 pieces (depending on pot size) and plant straight into the substrate. The rock wool will help to anchor the plant and keep it where you want it to. How many pots do I need? We get asked this question A LOT! 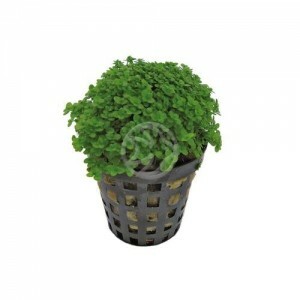 For most foreground plant, aim for one pot per 225cm2 (15x15cm). Use this calculation. So for example in a tank which is 60x30cm you would need 8 pots (1800/225). If you’re looking for a beautiful carpeting aquarium plant that is easy to grow and perfect in a wide range of conditions, then Micranthemum monte carlo is ideal. 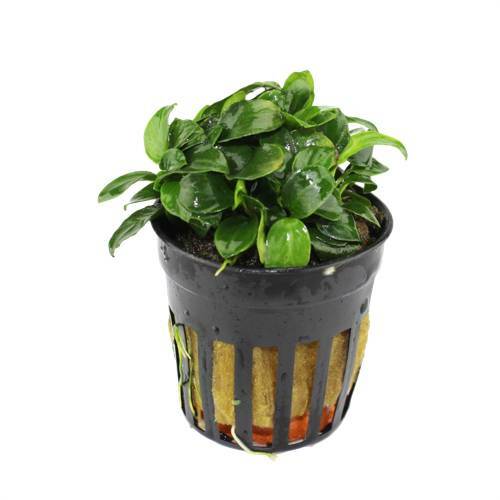 If you’re looking to purchase this plant, you can find it by clicking here. Have you every seen this combination of plants? We’re calling it Fittonia Combo – it’s actually two separate plants called Fittonia White and Red and they compliment each other beautifully as you can see. 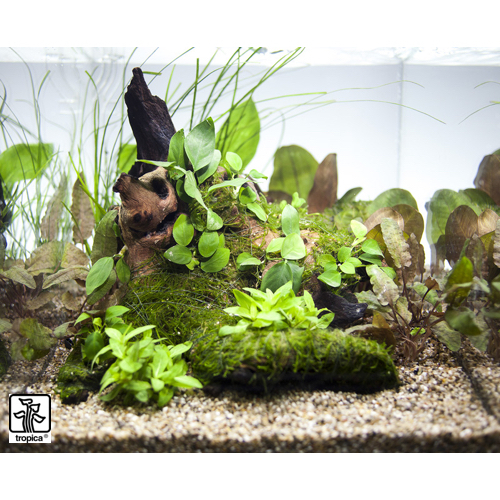 Now these plants are not suitable for planted aquariums, and they are specifically for use with Vivariums like those which house dart frogs or other similar creatures. These types of environments are humid and warm and as a result there are a lot of plants that actually suitable that environment but Fittonia in particular to very well. Their bright colours always attract the eye and if you ever decided to plant multiple Fittonia Reds together, the effect is quite wonderful. 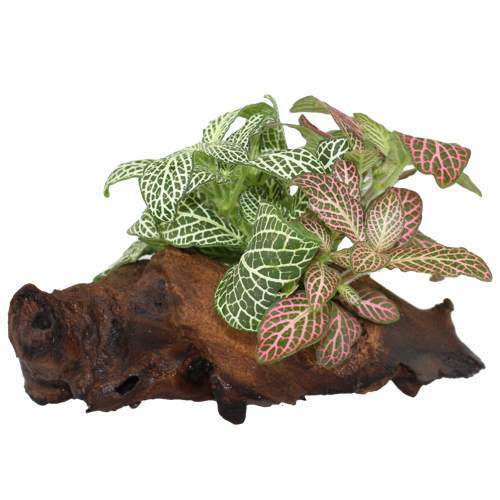 But for this piece we’ve combined the two Fittonia’s together and grown them on mopani for an extra special effect. Surprisingly not tricky conditions at all. We’ve had them under T5 lighting in a moist environment and they’ve done well. According to most information though they prefer lower lighting, but as you can see we’ve not had any problems. They’re thriving in fact so it’s always important to see if a plant grows another way. Where can I place it? We recommend that you place it at the front of your viv – or at least near it so that you get the full benefit of the colours. As it grows and matures, you can move the piece towards the middle. I personally don’t recommend that you get these plants too wet as there is always a risk that it could rot. We’re very lucky to have so many reviews from customers of Aqua Essentials, and it might be something that you have not seen. I also appreciate that for new customers, it can be a bit of a gamble when buying aquarium plants online, especially if you have had poor aquatic plants in the past from other retailers and as result are slightly anxious about purchasing again. As a result, displaying unedited aqua essentials reviews is a great way to see what customers decide to write about us – a bit like when people review products on Amazon. They are 100% legitimate, and we back this up by providing images of customers – some are happy to send in their picture to accompany their reviews as that’s how strongly they feel about it, and some go even further and record a Video Testimonial so we post it on our YouTube page (if you’re interested click here to view some of them). This further reinforces none of them are made up – can you imagine having the time and inclination of making up over 800 reviews?! It’s always great to get good reviews, because when shipping aquarium plants, that’s your ultimate goal – we want customers to be happy and most of all recommend us to other people, as word of mouth is by far the most powerful advertising medium. 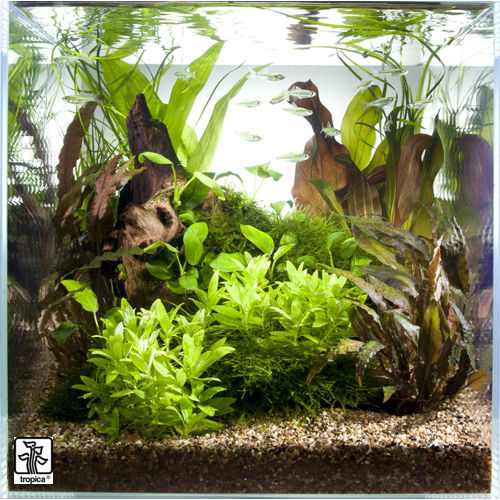 So below is a selection of our latest reviews and I hope you like them and if you are thinking of buying aquatic plants or other planted aquarium products, then it should take away any concerns you might have. As ever, excellent service from a friendly and efficient company. A pleasure dealing with. This is the first time I have used Aqua Essentials, I found the web site informative and easy to use, the delivery of my order of pliants arrived as promised the following day in good condition. Thanks. I have used aqua essentials a few times know and am always pleased with the great service of staff that will answer any questions I have. 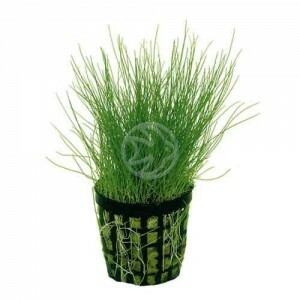 The quality of the plants is always excellent and they grow quickly.I cant recommend them enough. Thanks for the great service as always. A/E have become my first port of call for anything aquatic these days, they’ve earned my loyalty again and again with their amazingly helpful staff, great delivery times and low prices. I’ve even done a YouTube video hyping them up, i like them so much!! This is the first time I have order from this company and the plants are doing really well in my tank and delivery was super fast. I have ordered a number of items from Aquaessentials. Each product came on time, was well packed. The plants I have in my aquarium from this company are doing very well and more orders from me will follow. I am always looking for quality products for my aquaria and I definatly found that in Aqua essentials. Ordered neutro co2 and neutro T and three days later it’s here! 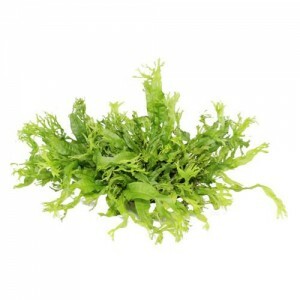 Has had a brilliant effect on my plants and is starting to combat black hair algea. Will continue to use this brilliant company! I have used aqua essentials a few times now and I am always happily surprised by the postman the next day with my plants! 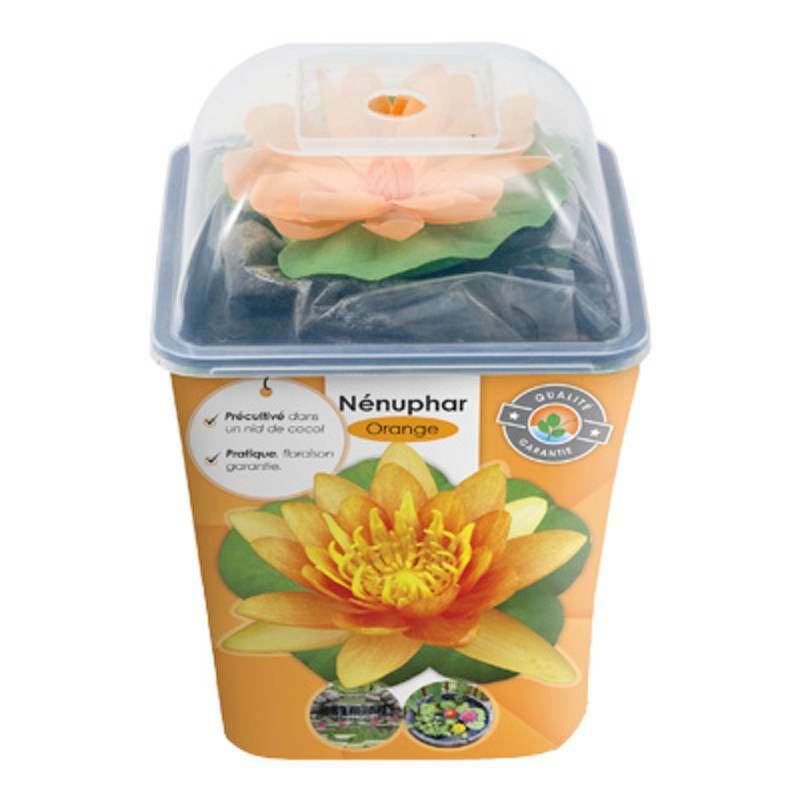 Excellent quality plants they are too and very reasonably priced. I was also happy to find some of the harder to get hold of bulb plants for a great price. I highly recommend aqua essentials and have already recommended to my friends and family. I hunted everywhere in the usual UK dealers to find Aerocol Columbo to help get an outbreak of Blue Green Algae under control. It cost me around £16 including delivery at Aqua Essentials and arrived promptly. I’d happily use them again if I need any other plants or fish keeping paraphernalia. I was so impressed with the speed of delivery, cost, and more importantly, the quality and quantity of plants supplied I have ordered more and decided to set up another aquarium just for plants. simply put Wow!! excellent service speedy delivery and top quality plants. I wont go anywhere else!! First and foremost to let people know, I use to be a keen Aquarium keeper up until 18 months ago. Especially planted aquariums, which I what I wanted to get back into.What I ordered was: Nymphaea stellata Bul, Aponogeton boivinianus Bulb, Anubias on Wood – Floating, as well as other items. After I ordered my items which I did before the deadline for next day delivery, I received an email stating they would arrive in the next four working days, which confused me as I did it before the clock at the top of the screen ran down. However before I could get annoyed they actually did arrive the next day, which I was more than happy with. 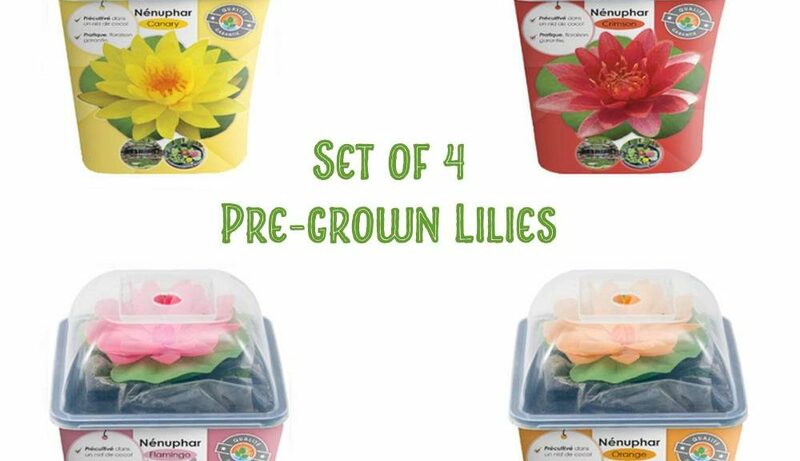 Packaging was excellent, all plants firmly packed and sealed to keep moisture in, although they were not labelled, which when you haven’t had bulbs before can be confusing. The Anubias hasn’t worked with one suction cup provided to fit it to look like it is floating so is currently on the substrate, the Aponogeton boivinianus Bulb however has grown like it is missing out on something!! And the Nymphaea stellata Bulb hasn’t surfaced yet, which is unfortunate but will not stop me using this company again. In all the years I have kept Aquariums this is the best delivery of live plants I have found to date. Having used Aqua essentials twice I have found them to be very helpful and very speedy in their service. I will be using them again. I am very pleased with Aqua essentials. Top quality plants at great prices and the service is fantastic. I would definitely recommend them to aquarium enthusiasts or even beginners as they offer sound advice on starter plants and other accessories to start a planted aquarium. Since starting with my first aquarium (we now have 7) i’ve searched for a reliable place to purchase plants and other items. AquaEssentials ticks all the boxes, reliable, rapid delivery, top quality items. Website is well laid out and easy to find the items you need. 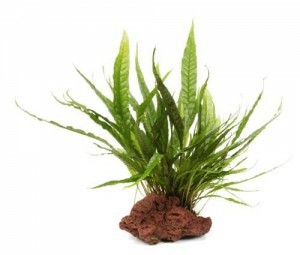 Since placing my first order with aquaessentials I have bought all my plants from them. 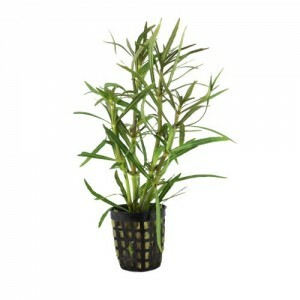 Excellent plants, at good prices, backed by excellent advice and service. I would like to say that the customer service is excellent as I am new to buying from them so had a lot of questions to ask via email which were answered promptly . I ordered some good which arrived on time. As I already had some of my old products left I haven’t used the new ones yet. Being new to the aquarium keeping hobby, I have found this site invaluable. The next day delivery is superb, and all the plants and products have arrived in pristine condition. As an experienced online shopper I am used to the ups and downs of purchasing stuff remotely. Aqua Essentials does exactly what the customer reviews suggest. You order things and good quality items arrive very quickly with precise email communications. Exactly as it should be which is rare these days. I would just like to say a word about customer service, the best I’ve come across, a special thanks to the office & warehouse manager who was very helpful, the products are excellent the service is brilliant. I have used various sites to order plants in the past and I can truly say now I have found Aquaessentials I will go nowhere else!!! The plants arrived on next day delivery, tthey were well packaged and each plant had a plastic identity tab. The quality of the plants were excellent, they are now fully established in my aquarium and are showing good growth, I will continue to use aqua essentials as I find all their products to be of a very high standard. Plants arrived well packaged and in superb condition, incredible healthy compared to what you see in a pet shop. Very impressed. Thank you. Being stuck in the ” Backwoods of Norway ” it’s difficult getting hold of quality products for my planted tank. Aquaessentials have now changed that, great choice of products on their webpage and a shipping calculator, products arrived very quickly and at a good rate, very happy :-). I’ve been an Aqua Essentials customer for many years and have never been disappointed. The quality of their plants is first class so AE is always my first choice. 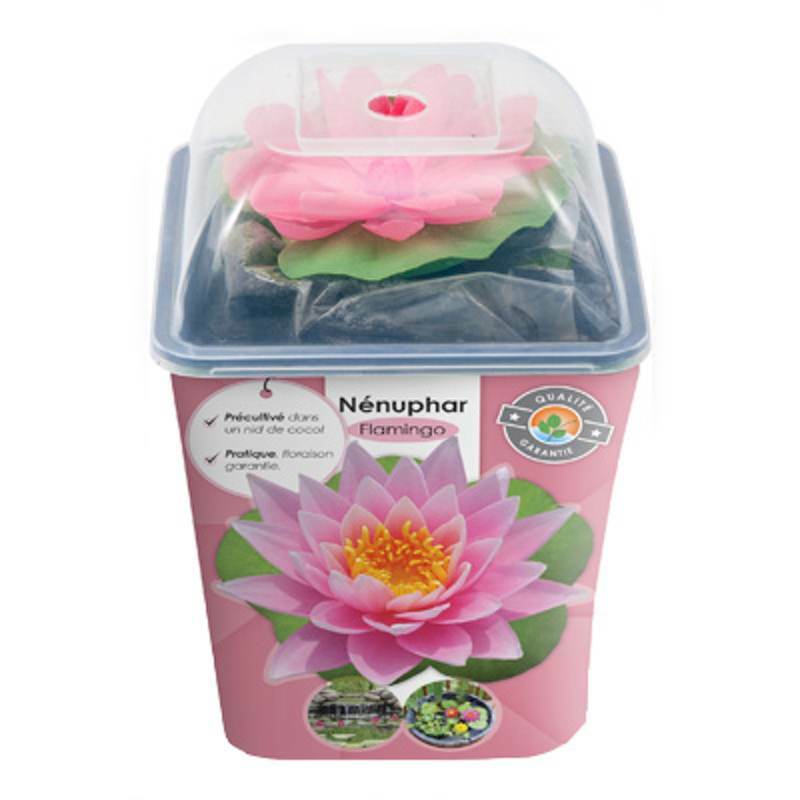 Since my first order on Aqua Essentials I have never sourced my plants from anywhere else. Delivery is prompt and the condition of the plants have been nothing short of impeccable. Excellent variety means you can easily find what you’re looking, and the staff are enormously helpful with questions and have even suggested alternatives when a plant I ordered wasn’t in great condition. This should give you an idea of the high standards that Aqua Essentials maintain. 5 Stars! Im new to planted aquariums and looked at a few options to source plants for my first tank. Im so happy I chose AquaEssentials, the service has been excellent. Delivery was very fast, the plants arrived in fantastic condition and the amount of plants provided was more than generous. Additionally the staff were quick to answer questions on products I posted on the website. All in all a 5* service. Aquaessentials provide a superb range of aquarium plants and associated products alongside a highly-efficient service that is second to none. 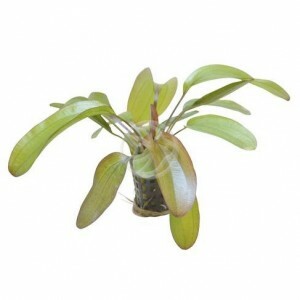 Plants are well packaged and labelled, of excellent quality and grow on rapidly. This is my one stop shop for aquarium plants. The plants arrived very quickly and in excellent condition. Will definitely use you again. Thank you so much for my Digital Aquarium Thermometer with Alarm, Really great service with fast delivery. thank you for a very fast delivery of my 1st order ,all plants were received in excellent condition. can not find anything negative to say. highly recommended. my experience with aquaessentials is an with any doubt an outstanding service. i got a risk by buying from abroad but always the plants arrive in perfect conditions wisely wrapped incredible! Thank you, Aqua Essentials, once again for yet another display of outstanding service, impressive product information, and of course, goods of exceptional quality. The redwood you supplied looks amazing with your anubias bonsai attached to it. The plants, as always, arrived in superb condition and continue to thrive. Go AE – love what you do! From excellent friendly customer service,high quality plants and aquascaping products,which come well packaged, to value for money,aquaessentials are a company to trust.Happy to shop with them. I have only just got back into the hobby after some 30 years, a hell of alot has changed in this time. 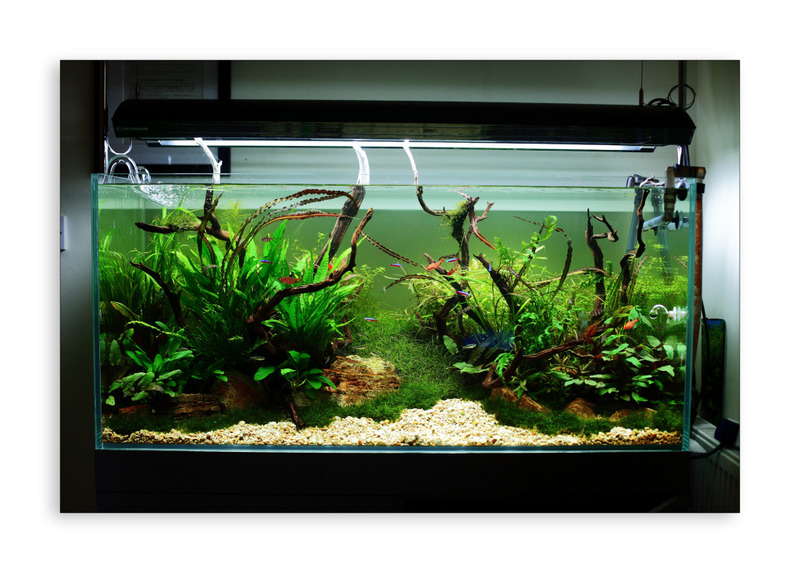 I wanted a tank that was fully planted and found that C0 2 was the way forward. Most of the aquatic shops that I tried didn’t seem to have what I wanted and didn’t give me much confidence. I came across Aquaessentials and thought that I would give them a try. I am so glad that I did! The quality and choice is brilliant, also I found the blog very informative. I have found the staff very helpful and have always kept me informed regarding deliverys. Deliverys have always been prompt and well boxed. I would thoroughly recommend them. A very reliable company. i’ve bought many plants online and always had the same problem, poor packaging and poor delivery, THIS IS NOT THE CASE HERE! delighted to have founf this site and the service is second to none, will continue using as long as I have my fish. prices very reasonable. First time and will not be last,next day service, and by Royal Mail,recycled packaging no problem, we gave the paper packing to are 6 Gerbils they loved it very good bedding. Items I ordered just what I needed for my just starting shrimp tank.